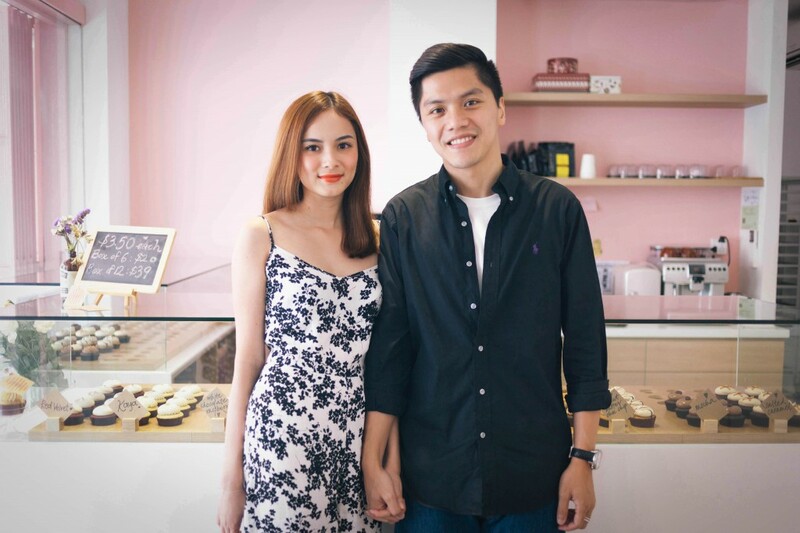 Behind every successful fashion blogger (and countless OOTD photos) is a very patient and devoted boyfriend. 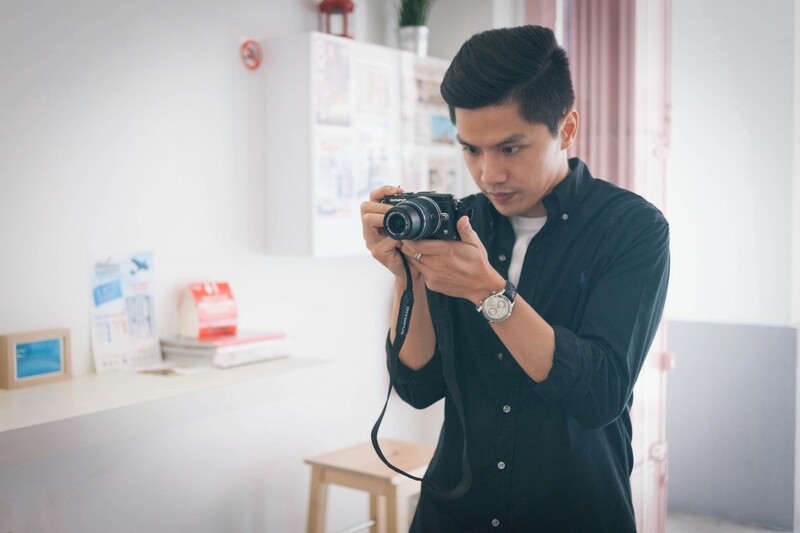 These blogger boyfriends, as you may call them, are the unsung heroes of the Instagram world. That OOTD photo you just Liked? He probably took it. That group photo of bloggers posing at an event? That was also probably him. In a tribute to these silent partners, we round up a couple of our favourite Blogger Boyfriends – and their beautiful blogger partners. Jessica Tham (@tippytapp) is as photogenic as it gets. She’s got striking features, perfectly coiffed hair and legs so skinny that…well, I’m not even going to compare my legs to hers. But what’s surprising though, is that the man behind the camera, is pretty photogenic himself. Jessica and Silas, who are getting married in September, have been together for 4 years. Silas takes most of her OOTD photos for her Instagram and blog posts, and also helps out with her blogshop. Silas: That she’s cold, stuck-up and approachable, because my parents always say that pretty girls are like that. After I got to know her, I confirmed that this was true. Jessica: Not true!! Don’t listen to him. Silas, you must be pretty good at taking OOTD photos by now. Any tips to share with boyfriends who are new to this? I can’t speak for all girls, but Jess basically looks good from all angles. Even if I take some random photo of her hair, it’ll still look good. The best tip I can give is to take many photos from different angles, then check with your girlfriend which angle she likes. If she doesn’t like any of them…then quietly go back and take more photos. It’s all about patience, my friend. What are some challenges of being a blogger boyfriend? I’m always under pressure to take great photos (sigh). I also have to look for nice backgrounds or places that aren’t crowded, carry luggage(s) full of her clothes when we’re travelling, rack my brains to think of OOTD poses (that will probably never be used), eat cold food that was hot before…Can you write five pages on me please? 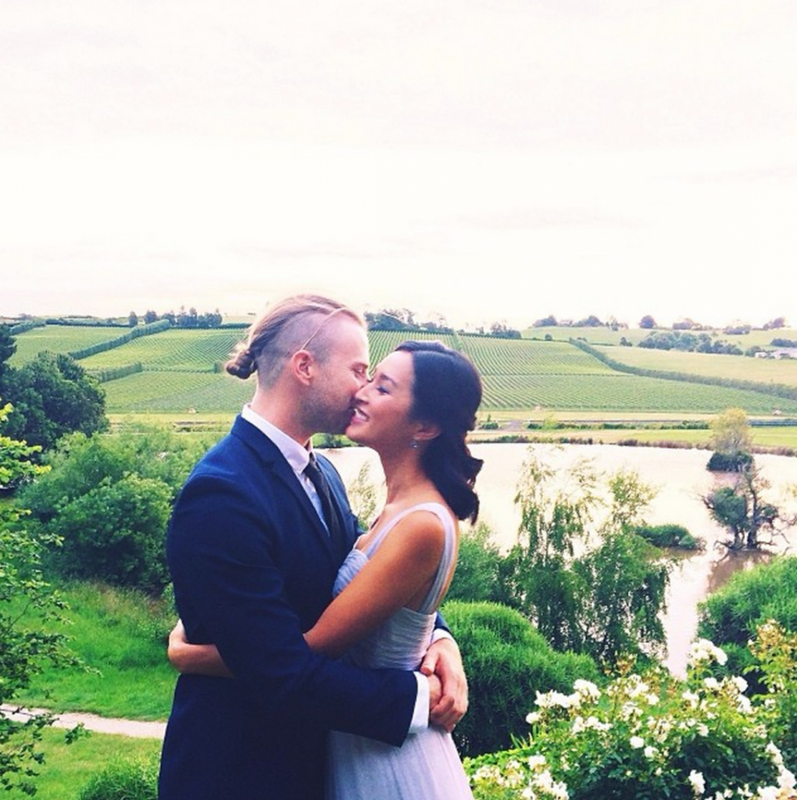 Okay okay, surely the good things about dating a blogger outweigh the bad? I guess I could get a lot of freebies from her. Like makeup, perfume, dresses…but obviously I have no use for them. Jessica: Silas is always willing to lend a helping hand, and is encouraging in everything I do. He’s also taken some of my best photos! Silas: There are many things I like about Jessica, but my favourite is her straightforward personality. She doesn’t hide or lie, and I personally feel that trust and honesty is important for a strong relationship. Jessica, does Silas know all of your best angles? Surely such a devoted blogger boyfriend would know your skinniest, prettiest angles by now? Actually…I don’t think he knows my best angles yet, even though he’s been taking my OOTD photos for ages. (looks accusingly at Silas) He usually clicks the shutter repeatedly until we get a good shot haha! For more of Jessica’s photos (and Silas’s hard work), check out her Instagram (@tippytapp) and blog. Lucinda Zhou (@lucindazhou) has the kind of cheery personality that makes you feel at ease, so perhaps it’s no surprise that she’s got a great smile to match. Max, who has a day job, takes most of Lucinda’s OOTD photos when he’s free. Max, was it love at first sight when you met Lucinda? Max: Haha yes, I noticed her smile because of her dimples. Lucinda: Dimples are defects, you know. I Googled it! Lucinda, what’s your favourite thing about Max? Max is really patient and sweet, especially when it comes to taking my OOTD photos. When we first got to know each other, he stood out from the rest because he would do sweet and thoughtful things for me. Max, any tips for taking a great OOTD photo? Max: If you take the photo from a lower angle, it’ll make her look taller and slimmer. It takes awhile to get a shot she likes, but she usually gives me directions on how to frame the photo. Lucinda: Sometimes I even use him as a model to frame my photo first! For more of Lucinda, check out her Instagram (@lucindazhou) and blog. For more photos from this shoot, check out the scene.sg Facebook Page. Nicole’s photos are always pretty amazing, but her outfit photos are the best. Seriously, how handy would it be to have a photogrpher boyfriend?? Another amazing fashion blogger with a photographer boyfriend. He’s also a graphic designer, it seems. No photos of Wendy’s blogger boyfriend, because she hasn’t really revealed his identity on her blog. I guess he’s called Mystery Man for a reason. 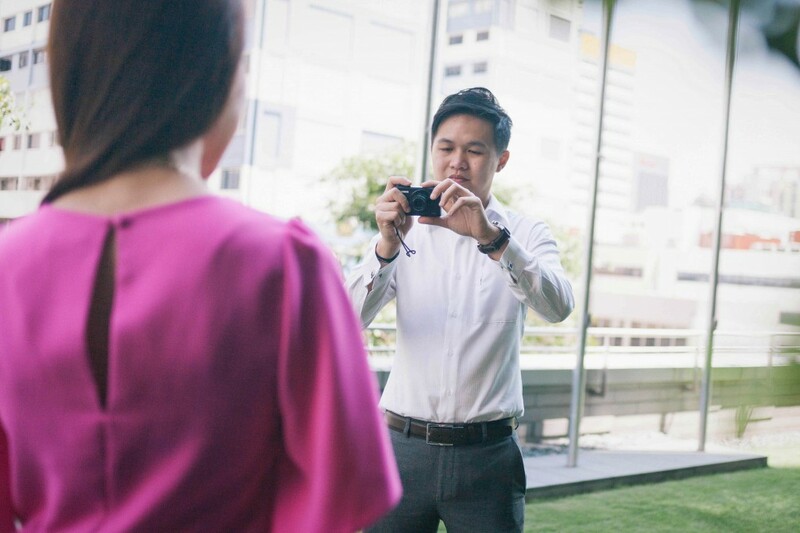 It seems he does take most of her OOTD photos though, to which we can only ask – are there any photographer boyfriends left for the rest of us? There are many reasons why girls would kill to be Olivia Palermo (can anyone say perfect hair?! ), and her model boyfriend Johannes Huebl is one of them. How do they both always look like they’ve just stepped out of a Banana Republic catalogue? ?